Professor Longhair (nee Henry Roeland Byrd and aka Fess) (December 19, 1918 - January 30, 1980) was a legendary New Orleans blues musician. He was born in Bogalusa, Louisiana. He was noted for his unique piano style, which he described as "a combination of rumba, mambo, and Calypso", and his unusual, expressive voice, described once as "freak unique". He was called the Bach of Rock and Roll. His career in music began in the 1930s, dancing for tips. "The very first instrument I played was the bottom of my feet, working out rhythms, tap dancing. His career in music began in the 1930s, dancing for tips. "The very first instrument I played was the bottom of my feet, working out rhythms, tap dancing. We used to dance all up and down Bourbon Street." He learned guitar and piano and began to take music seriously when he found he could get out of work by playing piano for his fellow members of the Civilian Conservation Corps. He also worked as a boxer, cook, and professional card player. In the late 1940s, he sat in on piano at the Caledonia Club while Dave Bartholomew's band was taking a break. He was an immediate hit and Bartholomew, later famous as Fats Domino's bandleader and collaborator, was fired. The band all had long hair and were dubbed Professor Longhair and the Four Hairs. He began recording the following year. 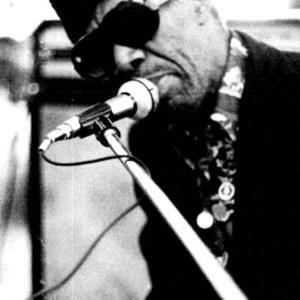 His signature song, "Mardi Gras in New Orleans" (still the theme song of New Orleans Mardi Gras) was recorded in 1949 under the name Professor Longhair and the Shuffling Hungarians. "I had one Hindu in the band, but there weren't no Hungarians," he explained. Longhair's only national R&B hit was 1950's "Bald Head". In the early 1950s, he released several more minor hits, including "Tipitina" and "Ball the Wall". He appeared under many names, including Roy Byrd and his Blues Jumpers, Roy "Bald Head" Byrd, Roland Byrd, Professor Longhair and his Blues Scholars, and Professor Longhair and the Clippers. These name changes were often related to problems with recording contracts. His career greatly slowed down in the 1960s, with "Big Chief" his biggest hit. He returned to card playing and even worked as a janitor in a record store until located by Allison Miner, Parker Dinkins and Quint Davis, who rehabilitated him and prepared him for a performance at the New Orleans Jazz & Heritage Festival. The 1971 New Orleans Jazz & Heritage Festival marked a comeback, and he began making a series of critically acclaimed albums throughout the 1970s. Dr. John (Mac Rebbenack) was an important booster. He also appeared in the documentary Piano Players Rarely Ever Play Together with Allen Toussaint, and Tuts Washington, three generations of New Orleans keyboard men. He was the headliner at the Montreux Jazz Festival in 1973, and in 1975, Paul McCartney flew him to play a private party on the Queen Mary. He died of a heart attack in 1980, and was subsequently inducted into the Rock and Roll Hall of Fame. The famed New Orleans night spot, Tipitina's, is named after one of his songs. Albert Goldman recorded Longhair at Tipitina's in 1978.